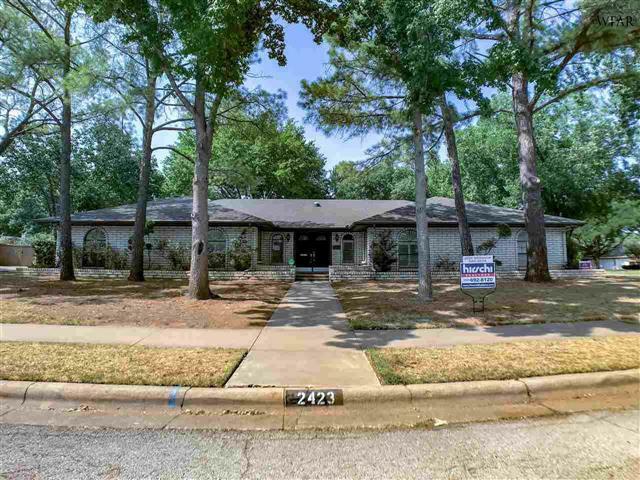 Beautiful Brentwood Estates home situated on a large corner w/ lots of mature trees. Inside you will find tons of storage & saltillo tile throughout the house. Spacious living room featuring vaulted ceilings with beams, wood burning fireplace & neutral walls. Granite counter tops & white cabinets in the kitchen that overlooks the dining area & sitting area. Isolated master suite w/ double doors to the stunning master bath providing a large walk-in shower, tub/shower, dual sinks & separate walk-in closets.